A minimum of 15 scholarships are available for the 2014-2015 session with each award worth £2,000 per year. Awards are tenable for the duration of the programme of study. A University of Edinburgh Selection Committee will meet in May 2014 to select the scholarship holders. The winners of the scholarship will be announced in late May 2014. For more information, please visit official website: www.scripts.sasg.ed.ac.uk. 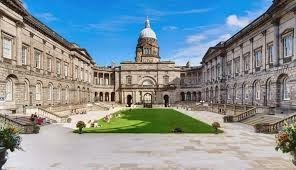 Demikianlah informasi mengenai Edinburgh Global Undergraduate Scholarships, University of Edinburgh, UK semoga berguna bagi anda.